Budget 2019 was expected to be a burden with the introduction of the new taxes, plus the pre-budget warnings that it will be the most difficult budget ever. The new taxes include a soda tax, digital tax, as well as a departure levy – to name a few. 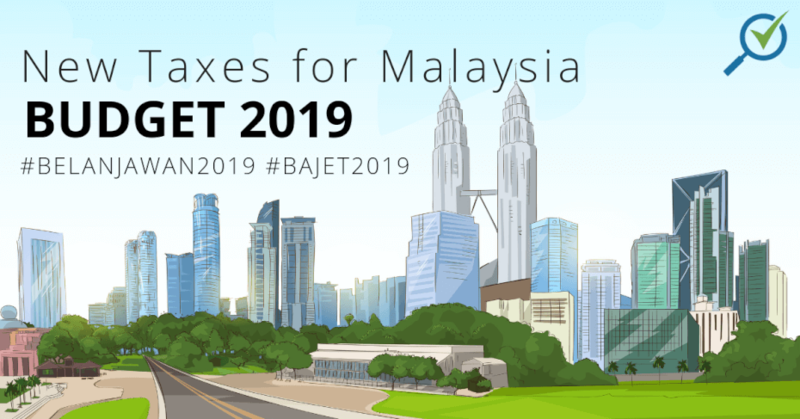 Click to read about all the taxes from Budget 2019. In an almost anti-climatic announcement (tax-wise), the taxes introduced at the Budget 2019 announcements weren’t all that shocking. A total of four new taxes were introduced and six tax adjustments were presented. Like everything else in the budget, however, how these taxes affect you will depend very much on the industry and income group you are in. Beginning 1st April 2019, there will be a soda tax imposed on different drinks with sugar content. Beverages like soda with 5g of sugar per 100ml, and juices with more than 12g of sugar per 100ml will be taxed at RM0.40 per liter. A lot of people are worried that this would lead to an increase in prices of drinks at the local kopitiams and mamak stores. The tax, however, is actually on beverages with sugar in them, not on sugar itself. Ideally, your kopi peng and teh tarik will maintain its current prices whereas drinks like Coca-Cola and Minute Maid juices will see an increase as per the tax. You could almost hear the Internet-generation groan in agony when the digital tax was announced – we certainly heard it in the office. Everyone can still relax though, as the digital tax will only be implemented on 1 January 2020. There are currently no further details about the digital tax’s mechanics, though three applications were shown onscreen during the announcement: Spotify, Netflix, and Steam. We’re expecting that it would work very much like an additional tax onto the current subscription prices. While Steam is a free platform to use, it’s likely that game and software purchases would be taxed instead. Those travelling after 1 June 2019 (like yours truly) will be paying a departure levy whenever they leave the country. The departure levy is imposed to encourage domestic tourism and the funds collected will be used to promote local travelling too. The levy will be a one-time RM20 for ASEAN countries and RM40 for non-ASEAN countries at each departure. You can find the list of ASEAN countries here. Local businesses who engage with service-providers overseas will have to pay an imported services tax from 1 January 2019. These are services are considered as those provided to local companies from overseas, they include architectural and graphic design services. The receiving end of these services (the businesses) will be responsible to pay and declare the service tax. The imported service tax is implemented to encourage the local industry players to basically up their game and for businesses to look at the local talents instead. Do you think this may contribute to a price increase for certain businesses? With the Budget 2019, the RPGT for disposal of real estate from the 6th year (of ownership) onwards will be increased. The increase of RPGT is said to not only increase revenue, but to also curb speculation for real estate pricing. It will also encourage people to hold homes longer for their own use rather than than flipping it on the market. What is Real Property Gains tax? Real Property Gains tax Tax (RPGT) is a tax that is paid during the disposal of property in Malaysia. This means that when you sell your home, you will have to pay a Real Property Gains Tax. However, the amount that is taxed is base on the profit you earn from the sale, hence the term “gains”. Malaysia’s 2019 Budget will see an increase in stamp duties to 4% from 3% for transfer of real properties that are RM1 million and higher. First-time homebuyers will have a lot to benefit from the stamp duty exemptions. According to a news article by EdgeProp, Datuk Paul Khong of Savills Malaysia said that homebuyers will have estimated savings of up to RM24,000 for RM1 million properties and RM5,000 for RM500,000 properties and below. It will, however, not look as good for property investors. You can use the calculator on the Malaysian government’s Official Valuation and Property Services Department. Some may find the split to be a disadvantage because of higher EPF contributions, but the move may be seen as an advantageous one too. For one, it encourages more people to get life insurance as protection. According to Anusha Thavarajah of the Life Insurance Association of Malaysia (LIAM), only 4% of the B40 households have life insurance. To encourage more people to return to the workforce and for employers to diversify their employment portfolios, there will be additional tax deduction for the employers on the salary of employed senior citizens and ex-convicts. This can provide more opportunities for people to increase their earnings and for the ex-convicts to return to work. Employers who help their employees repay their PTPTN loans by the end of 2019 will benefit from additional tax breaks too. Though the mechanics of this is still yet unknown at this point. On a related note, PTPTN loaners who are earning more than RM1,000 per month will see salary deductions from 2% to 15% to repay their loans. Pangkor Island will be duty-free! Rejoice, travelers! Pangkor Island will be made duty-free, following the success of Langkawi. There will conditions to the duty-free status of Pangkor Island, and Langkawi’s duty-free status will be expanded too. Swettenham Port in Penang will have duty-free shops to promote cruise tourism too. Do you think the new taxes and tax adjustments will significantly affect your financial well-being from 2019 onward? If yes, let us know how!